Burnley is the newly promoted team in the Premier league and hasn’t had the best of starts as they lost their first game of the season. They played against Swansea City at home and lost the game by 0-1. Burnley lacked possession but not by much as they had 47% and Swansea City had 52%. Burnley had ten shots in total whereas Swansea City had 17 shots out of which nine were on target. Both teams were not able to break the deadlock until the second half in which Leroy Fer scored the winning goal in the 82nd minute of the game. Montero crossed the ball into the box which Llorente headed towards the goal but his effort was saved, and Fer was ready for the rebound which he successfully converted. Liverpool played against Arsenal in their first game of the season away from home. The game was probably one of the best games that might come in the season. It was played at Emirates Stadium, and both teams were ready for their first game of the season. Moreno conceded a penalty in the 28th minute as he fouled Walcott but to his delight, the penalty was saved by Mignolet. But soon enough Walcott got another chance which he scored in the 31st minute. 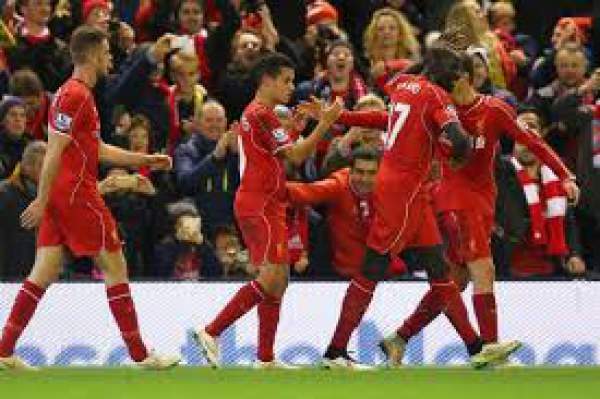 As the game was reaching half time, Liverpool equalized as Coutinho scored from a free kick from 25 yards out. Then as the second half start, Lallana scored in the 49th minute as Wijnaldum assisted on his Liverpool debut. After that Liverpool made it 1-3 in the 56th minute as Coutinho scored and then in the 63rd minute they scored again. Chamberlain pulled one back in the 64th minute and then again in the 75th minute Chambers scored and made it 3-4 but that was it and Liverpool won the match. Heaton, Lowton, Mee, Ward, Keane, Marney, Arfield, Jones, Boyd, Gray, Vokes. Mignolet, Lovren, Clyne, Moreno, Klavan, Lallana, Wijnaldum, Henderson, Coutinho, Firmino, Mane. Come back for the match result, full video highlights, complete scorecard, and much more. Don’t forget to share it on social media sites. Stay tuned for latest football news.